Vintage florals scream "glamour." 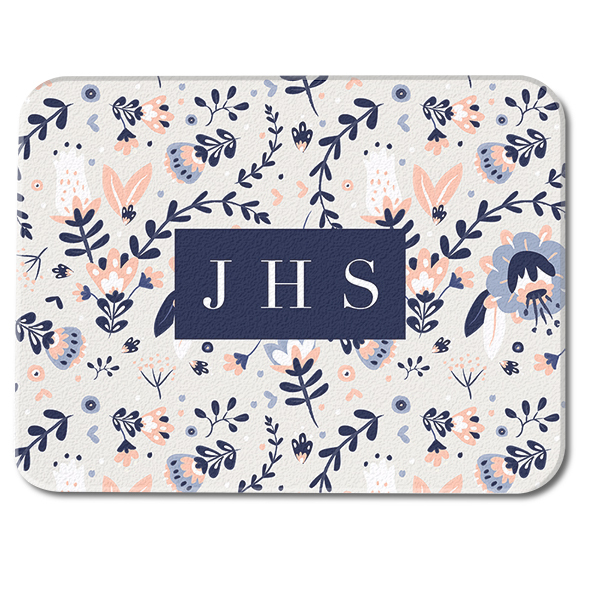 Add this Watercolor Floral Custom Monogram Glass Cutting Board to your home for the perfectly personalized accent piece. Fads come and go, but florals withstand the test of time. From 18th century Chinoiserie motifs to 1970's pop florals favored by the hippie movement, florals have been and will always remain a staple in universal style and design. Add a touch of timeless femininity with this Custom Monogram cutting board, which features your initials amongst a watercolor floral print. Our US based craftsmen will take care of the rest to ensure your quality personalized product is made and shipped to you in as little as 3 business days.